Set up your Yoder Smokers YS640 pellet grill in direct mode (no heat plate). Place the cast iron griddle on the left side over the fire pot. Preheat the grill to 425?. Pecan pellets would be a good choice for this recipe. 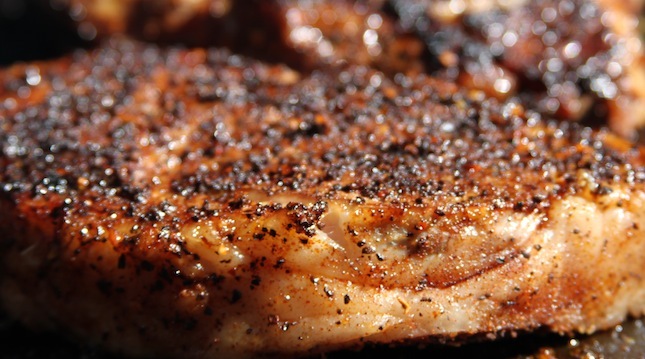 For this recipe you can also easily use your gas, charcoal, or ceramic grill, just be sure and use a griddle on the grates directly over the heat source. 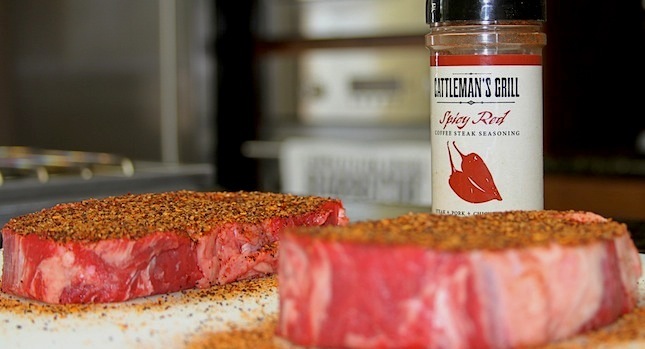 While the grill preheats, liberally season steaks with, Cattleman’s Grill Spicy Red Coffee Steak Rub. 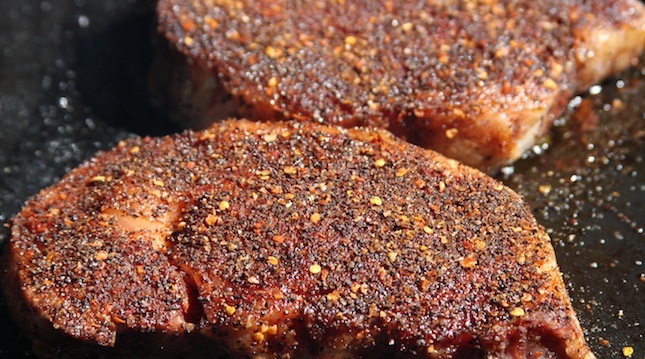 The more rub you use, the more crust your steaks will have. Let the steaks set for about ten minutes at room temperature so the rub begins to absorb into the beef. Add the olive oil and butter to your griddle (you can adjust the amount of butter/oil as needed; you’ll want a good coating but not standing oil). When the butter is starting to brown, add your steaks. Cook steaks to your preferred internal temp, flipping once halfway through. Our preferred internal temp on a steak is 135? - medium rare. Don’t lose valuable time and overshoot the internal temp – use a Maverick PT-100 thermometer for immediate results! When your steaks have come off the grill, let them rest for several minutes before serving as the juices reabsorb into the beef. This may be one of the simplest recipes we've ever cooked, but don't worry, we won't let your Cattleman's Grill secret out!